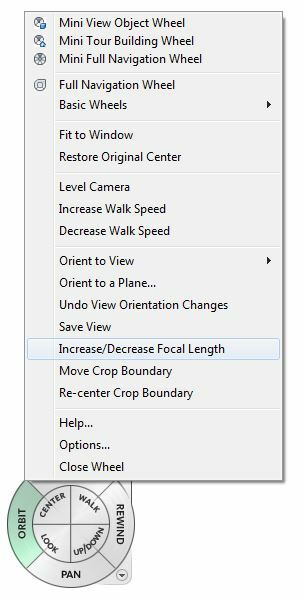 Set Camera Focal Length in Revit. It is really simple to do it in Revit! Step 1: Create a new camera. Step 3: Right click on the top of the wheel or click on the little arrow on the bottom right. 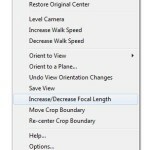 Step 4: Select Increase/Decrease Focal Length. Step 5: Hold left click to move adjust the focal length. You’ll get the ability to “zoom in” without adding the distortion effect.